Amsterdam, 23 October 2017 — Castor Networks is pleased to announce it is the supplier of internet for some 400 UK military who are deployed in 2 large camps in South Sudan as part of the UK effort to support the UN mission to South Sudan (UNMISS). In total the project consists of 4 links with dedicated capacity of 10’s of Mbps. The UK troops are based in Malakal and Bentiu and are providing relief for the refugees in those areas. They will provide security and work on infrastructure projects like building a jetty in the Nile and helicopter landing areas. In Bentiu there is a medical hospital for the UN troops. Castor provides both the Internet backbone and the wifi network that provides extensive coverage large areas of the camps. The internet backbone operates on Castor’s C-band networks over Africa which connects the camps directly to European internet through its connection to the Teleport in Burum, The Netherlands. The internet enables the 400 troops to keep in touch with their relatives with Skype and WhatsApp and use social media. The local wifi network, which is managed from the HQ of Castor in The Netherlands, also covers the hospital, which has already proofed very useful for doctors to be able to send large files back to the UK. For more information, please contact: Edwin Cras, +31 88 6460101 or edwin.cras@castornetworks.com. Castor Networks is a global satellite service provider and teleport operator. 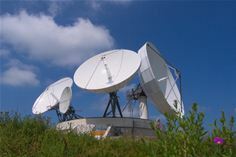 It operates a global maritime Ku-band network serving vessels word-wide and a regional satellite communications network serving NGO’s, Mining Energy, Government and local business in Africa. Castor Networks headquarter and Teleport facilities are in The Netherlands, the Company has offices in Central Africa Republic, France, Italy, Mexico, Sierra Leone, South Sudan and South Africa. Its services to land based customers are offered under the Castor Networks brand and while Maritime and on-board IT services are offered under the Castor Marine label.